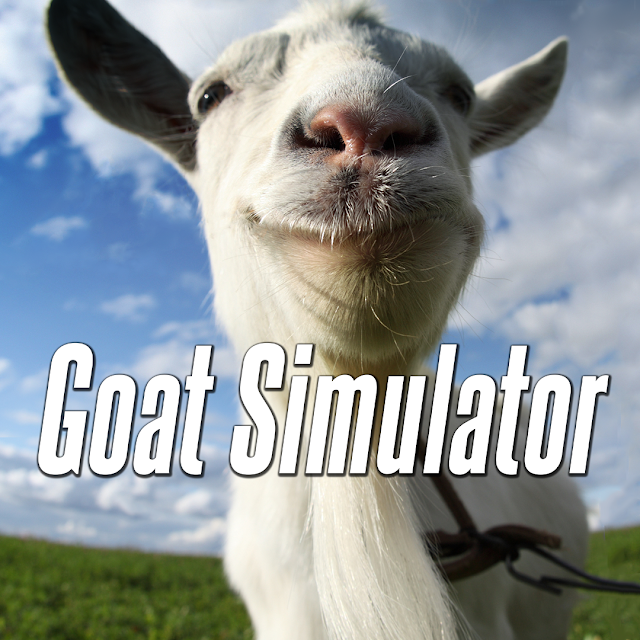 Goat Simulator is a third-person action, sandbox game. You play as a goat and the point of the game is to explore and to cause as much damage as possible. Goat Simulator is one of the most random, simple, mindless and stupid games I have ever played, but man is it addictive. There is no story in this game. You are just a pissed off goat that wants to ram, blow up, and lick everybody and anything around it. There are some optional objectives to do, e.g. Do a double back or front flip, Wallrun for 4 seconds, but other than than that, the main point of the game is just to explore and cause as much mayhem as possible. There are 2 locations to explore in the game, Goatville & Goat City Bay, and they are filled with randomness and easter eggs. Let me try to 'Bob Ross' this for you. On one side of the map, there is some dude driving in circles in the middle of a wheat field while people cheer him on. A couple of feet away, there are some crop circles in which you can place a beacon, with your tongue, so a UFO will come pick you up and drop you off in space. I'm not really sure what the point of going to space is. When I got there, I floated over to an astronaut, licked him, then manually restarted the map because I couldn't figure out how to get back to Earth. And on the other side of the map, there is a pentagram on the ground where you can sacrifice people and other goats, by dragging them there with your tongue, to become "Devil Goat". There are all kinds of random things to do in between those examples and that's just in Goatville! The gameplay is fairly simple and has been compared to old school skateboard games. Skateboarding games not being my thing, I don't have any experience with those types of games. The best way I can describe the gameplay is to compare it to the Insurance Fraud activity in the Saints Row series. You run into a car and get flung across the map. You run into a gas canister, it blows up and you get flung across the map, etc. The ragdolling is endless. The exaggerated physics in the game don't just apply to the goat either, they apply to any and every movable object in the game. If you run to a person and headbutt them, they fly across the map as well. If you feel like destroying the inside of their house, just jump through the window and start headbutting stuff. Objects will fly all over the place destroying everything in their path. 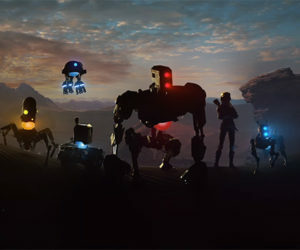 The game features perks or abilities called "mutators." There are a few unlocked at the start like double jump and tall goat, which makes you a giraffe in stead of a goat and the rest can be unlocked by earning achievements in the game. Example: Goat Queen - Goat Queen is unlocked by earning the Queen Goat achievement. This mutator allows you to summon peasants by pressing the special button. Basically you press the special button and a bunch of dead goats fall from the sky. Not all mutators are for aesthetics though. Some, like Ripped Goat, are useful for turning the destruction up a notch. Ripped Goat is a stronger version of the goat and is unlocked by completing the 'Alexander Goatstafsson' achievement. You unlock this achievement by completing a goat fight club of sorts in Goatville. There are quite a few mutators to unlock and they can be enabled or disabled at any time in the pause menu and/or the main menu. They do not affect the ability to earn achievements. Goat Simulator Achievement Video Guides. Goat Simulator is a broken game and there isn't much to it, but it's meant to be that way. The game takes all of the bugs and glitches that plague other open world games and turns them into a good time. I was apprehensive about playing it after all the stuff I read and videos I watched about it since it's original launch on PC. I figured it was just another stupid game I would get bored of in 10 minutes but after playing it, I can say that it's a nice break from the norm in gaming and it's an experience that deserves to be given a chance. Don't judge a goat by it's cover....or something like that. + Did I mention the destruction? What I played: 8 hours obtaining 26 of 30 achievements. Headbutted countless people. Destroyed so much stuff my head hurts.